There are literally thousands of outdoor related business speckled all across the country, but only a mere few have the personality, attitude, and ingenious development to be a trend setter. I’ve paged through hunting magazines until my fingers numbed, surfed the web until my eyes crossed, and attended trade shows until my legs cramped… and finally, I found my personal favorite new and upcoming companies of 2010! Let me have the pleasure of introducing you to three businesses that set themselves apart. Here are the Trend Setters of 2010. Rut Junkie Apparel™ is an incredibly new look that fits the personality of a real outdoors enthusiast with a kick of today’s pop-culture. Rut Junkie markets their private labeled clothing line to an audience that’s hip, trendy, and fashionable. You can proudly sport these T’s out to a nice dinner and not have others give you repulsive glances. 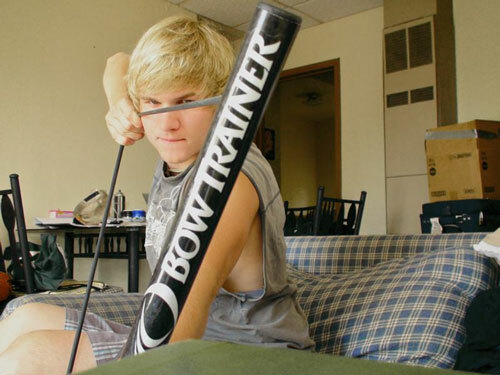 The Bow Trainer™ was designed by an avid archer and certified physical therapist, Bow Trainer™ is a unique training tool that can help archers obtain greater accuracy by improving their form and increasing their strength and stamina. It is the perfect training tool for archers of any age and level of experience–from novice to seasoned professional. 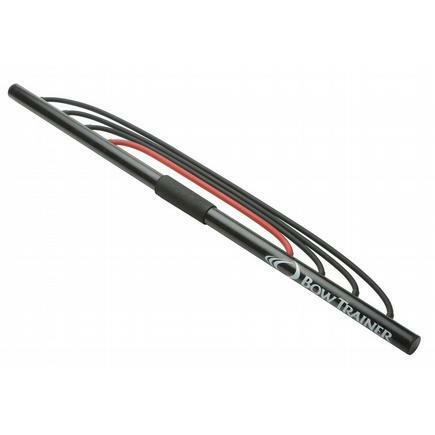 This is the only proven tool in the world that absolutely replicates the form and fundamentals of archery shooting. Weighing in at 1.2 lbs, 36” in length, and a draw resistance up to 130 lbs, it is never too much of a hassle to bring anywhere. The Breath-Taker™ is the missing link in total scent control. It eliminates the odors present in our breath. Up to 80% of human scent comes directly from the moist regions of our mouth through the simple act of breathing. At the rate of 60 gallons an hour, these large volumes of air bourn human specific scents are quite possibly the most ignored and deterring factor of success in the whitetail hunting world today. The ultimate solution is The Breath-Taker™. 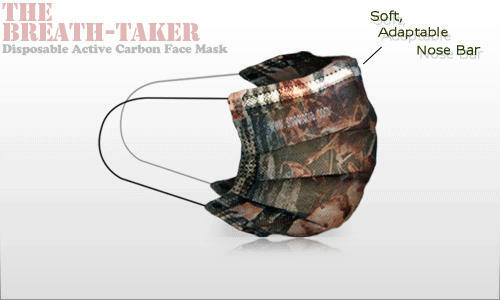 This innovative disposable where it counts active carbon facemask is the only effective option for reducing game-spooking human breath. 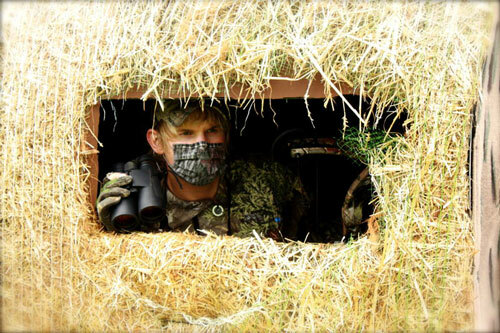 The Breath-Taker is an easy to use comfortable camouflage mask that contains a 60 GSM SGS certified carbon layer as well as a highly breathable filtration layer that screens out dust, pollens and allergens down to 5 microns. You get 5 individually sealed masks for only $9.99 (each mask lasts for 24-48 hours before carbon is saturated).